Hello! It was off to work today for me and Mr BeBe aka Clumsy Pickle. We had a table at a craft fair in a village just outside of where we live. 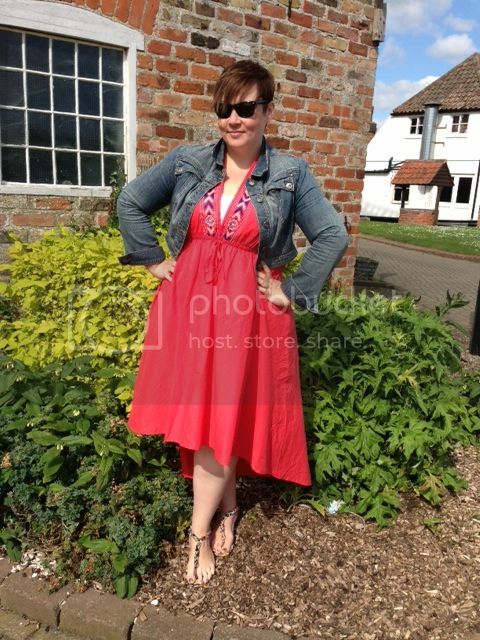 What with the beautiful sunshine and gorgeous surroundings I thought I'd pop on a pretty dress and swoosh around all day! Once we'd set up stall I got Michael to take a couple of pics, it's always exciting to do photos somewhere other than the back garden! The swooshy dress in question isn't actually a dress, it's a kaftan I picked up from a catalogue outlet store that sells ex Simply Be/Marisota etc stock (amazing right?) I figured with a vest underneath for modesty it doubles up nicely as a summer dress. 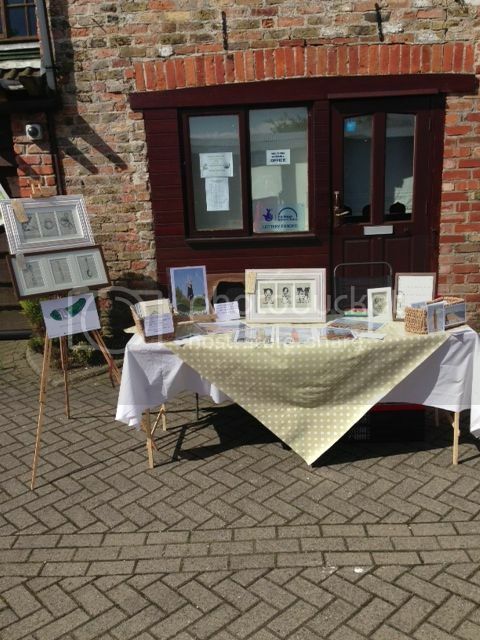 The sunshine stuck around all day, and we had a lovely day, meeting lots of folk, getting great feedback about Michael's work and making some sales! Hoorah! And just look where our stall was located! 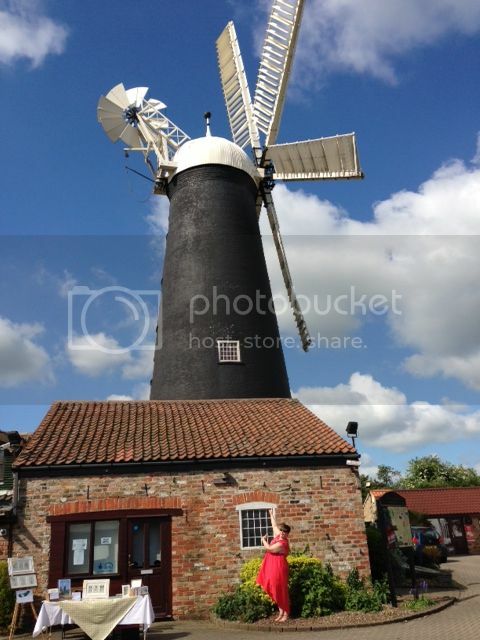 Windmill-a-rific! Glad you got some good sales as well!